Are there ghosts amongst us. Alison Oborn from Adelaide Haunted Horizons would argue yes. Or, at least, she would argue there are many occurrences that require further explanation because they are just too weird or creepy to fit our normal range of explanations. This week, the SA Drink Of The Week is from Koonara Wines in the Coonawarra, thanks to Sally. Nigel will try to stump us in IS IT NEWS on the topic of ghosts. In 100 Weeks Ago we hear from theatre directors, Andy Packer and Chris Drummond, about the attraction of bringing a band of people together to tell stories. And in the musical pilgrimage … we welcome Todd Fischer as our musical curator and he starts with something mystical. 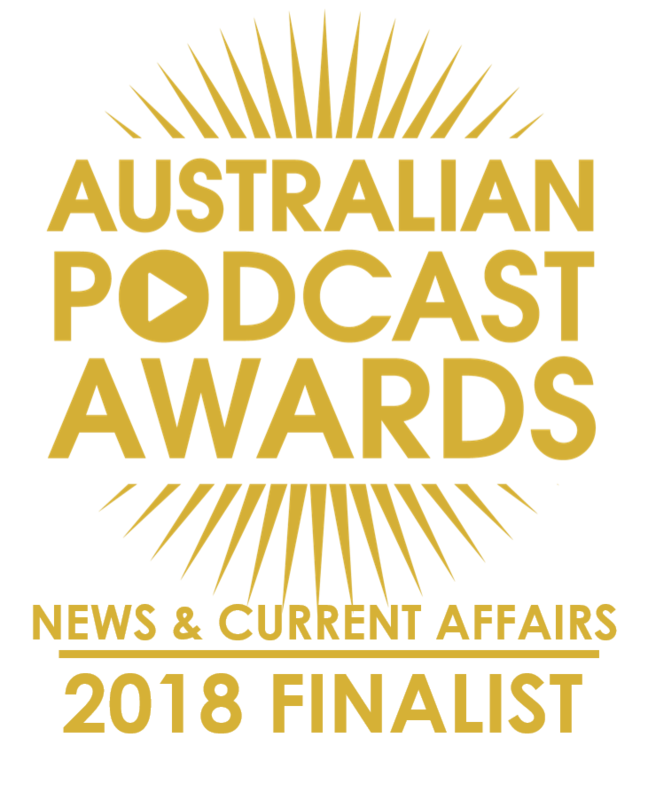 If you enjoy the show, please leave us a 5-star review in iTunes or other podcast sites, or buy some great merch from our Red Bubble store – The Adelaide Show Shop. We’d greatly appreciate it. Theme and Introduction. Our original theme song in full is here, Adelaidey-hoo. Steve’s visit to Adelaide Oval to watch the Adelaide Crows with former guest, Nick Leaver. If you’re familiar with this podcast, you might be wondering why two skeptics and critical-thinking-inclined blokes are about to spend the best part of an hour exploring the realms of the paranormal with award-winning tour operator, Alison Oborn of Adelaide Haunted Horizons (as mentioned in the podcast, Alison has a new site being launched shortly, so what this space). The answer is “history”. Alison approaches this realm of mystery through the stories of the past and that’s why we’ve been looking forward to this chat for weeks. Alison, what does it feel like, knowing you are about to talk ghosts and the paranormal with a couple of quite blatant skeptics? The thing that gets me most about ghosts is trying to understand this nether world in which they live. Do you have any theories on where/how ghosts gather, why/how some communicate with us, and why they might manifest in certain forms? You have established a strong reputation in paranormal investigation circles. What does your equipment actually pick up? How might ghosts emit current or radio signals? Do live people? You were born into a haunted house. Tell us about that? Is that why you were predisposed to Adelaide Gaol history tours? How much of the haunted experience happens in the imagination or the early and late dreaming/sleeping states, as well as our brains being supercharged at trying to make sense out of things/patterns? Why ghost tours at night? What is the day timer tour like at Torrens Island? Where do you run tours in SA? Most Zoo stories happen because networks want a cute bit of fun. Do you get your coverage because the media wants a little titillation? Who should we be glad is no longer alive in SA? Are ghost tours still popular? Karen Griffiths Aaahh Z Ward . . . . my 2nd home. 😊 Unexplained disembodied voices, smells and footsteps to name a few of my own experiences there. Alison, what is your own favourite location you’ve investigated? And what locations do you dream of going to in the future? Rosemary Coates Z Ward.. Bathroom. Water sounded like it was turned on in the second basin. . . Sitting in the main hall you can here shuffles. . Also a man dragging a matress from the right ( most dangerous inmate side). Old Adelaide Gaol. . Lady at the bottom of the stairs.. in a section that didnt house women! In the main court yard looking at the second row if outside cells a man was watching our group . . . In what was the church room. . A man said his name ( Robert Stevenson/ Stephonson). . Since found out THERE was a Robert Stevenson in the Gaol. I’ve witnessed SHADOWS while Alison has live feed from Moonta and Glenn Barr. And had experiences at a hotel that KNOWS its got residential spirits but doesnt tell anyone as they dont want activity stired up. WHICH I LOVE. Michelle Brewster On one of my Z Ward investigations, I and a friend heard what sounded like a mattress being dragged across the floor, during lockdown upstairs. Actually we both agreed it either sounded like a mattress being dragged or a tap being turned on full pelt, since it was a kind of ‘swooshing’ sound. Michelle Edmundson Knocks on the wooden bed during lockdown in the “Fridge Cell” at the Adelaide Gaol on one of Haunted Horizens ghost hunts freaked me out the most! 2 short knocks 3 times… I had my hand on the bed and could feel the vibration 😮 Was a great experience tho. I’ve been touched at both Z Ward and Adelaide Gaol. 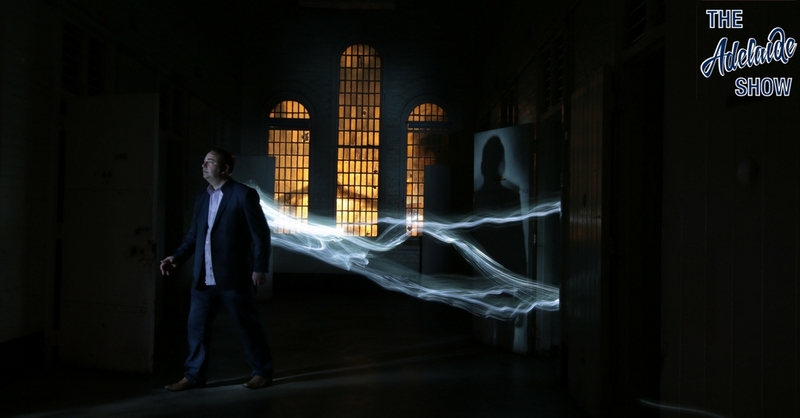 Had an amazing Ghost Box session at the Gaol, where a friend’s father seemed to be coming through and the ghost box was doing things it shouldn’t actually do, like stopping on specific songs etc. Had some interesting anomalies show up, and interact, on the SLS/X Cam at Z Ward. A light anomaly seen by everyone in the room at Z Ward. Shadows seen in cells during lockdown at the Adelaide Gaol. Disembodied voices, footsteps heard, unexplained bangings and some attachments at Gladstone Gaol. And most recently, this past Friday at Glenbarr Estate, we all heard a dog barking throughout the night, when there wasn’t any around. I had some sort of attachment that caused pain/pressure in my stomach and feelings of nausea in the cellar, plus an anomaly captured on the X Cam in there too. Unusual temperature drops, that seemed to correspond with questions being asked and some sort of light/shadow anomaly seen with the naked eye in the nursery. Damo Lind on Alison’s tours have seen a shadow figure at NRM (National Railway Museum) and have heard ballast being dropped on numerous occasions, also at Tailem Town, have been in a building that made me feeling like I was out at rough sea, as well as seeing a figure in the main streets. Question for Alison, has there ever been a location you have investigated that you would never go back to, if so why? April Michelle Stuart on Instagram: Seriously? What about Glenside is so entertaining? Sorry, I just have to ask. I also noted in April’s bio she is battling the Bi Polar Bear and it makes me wonder about the balance between mental health, how society has dealt with that, and our history at Glenside. Nigel challenges the panel to pick the fake story from three stories from South Australia’s past. From time to time reports have gained circulation of the appearance of “ghosts” in various suburbs, and residents, more especially women, living in the localities where the apparitions are said to have been seen have been considerably frightened. A real live “ghost” has at last been actually discovered, and for some days past the police have been looking into the matter. “A week ago last Monday,” said Mr Trevorah, “I was driving along the Greenhill-road past the Lunatic asylum at about 9 o’clock. I was just about to turn the corner to go along the road leading through the park lands to Adelaide, when I noticed something white at the corner. For the moment I thought it was a post, but when I saw two arms raised in the air with a sheet hanging from them and covering the whole, I was satisfied that it was something else. The pony I was driving also caught sight of it, stopped dead, and then quickly turned in the opposite direction. Meanwhile I was shot out of the cart, together with a rug, which I had over my knees. Fortunately I quickly recovered myself, and seeing the “ghost” making off I gave chase. I caught it as it was about to turn into a gate, and was about to hit out, when a voice said, “I live here.” I then pulled the sheet aside, and saw it was a youth. The locality is a lonely one, and is not well lighted. Ladies at night time usually walk in the middle of the road, on account of a lunatic occasionally having escaped, and a report that a ghost had been seen in the vicinity. He has had a severe fright, and it is understood that no action will be taken against him. However, the affair has caused such a sensation in the neighbourhood that the publication of the facts may allay the fears of timid individuals. Are you superstitious? Would you stay a night in a haunted house for £50,000? There is a girl in Adelaide who will do it next week, but not exactly for £50,000. She is Mavis Malono, the niece of local eccentric and late quarry investor Silas Randolph. “The House of Fear” as the locals call it, is a weird old mansion in the Adelaide foothills. Closed for 20 years following the death of the late owner, Silas Randolph, it has fallen into ruin and decay. Silas died after long illness of gout and consumption. In his will he stipulated, amongst many other strange requests, that the heir who inherited his fortune must stay from midnight until dawn in the room in which I he died. This unenviable task has now fallen to Mary Malono, the 21 year-old niece of the old man. Although sounding like a cheap stage production, this scenario is indeed true and was confirmed by Mr Frost, lawyer acting for the estate of Mr Randolf. He stated that this was an unusual request from within a will although this case had been particularly arduous and had been in and out of the courts for nearly two decades. During this time the debate and argument over the will by members of the family had continued. It wasn’t until an unfortunate automobile accident last week that resolution was possible. That accident left young Mavis without a father but clarified the will and left her sole recipient of the by now much reduced will. At the time of Silas’s death she was but a young girl and has no memories of him but volunteered to be part in the condition to bring closure to an ordeal that has torn her family apart. She plans to have the building demolished after spending the night in the so called haunted house although it understood her Aunt will challenge this demolition process. Dudley Park, a suburb of Adelaide, was once the site of a notorious mansion called Graham’s Castle. It had the reputation of being haunted, and was the centre of many curious tales. In the forties, when the people lived in tents and mud cabins, and stood at their doors to greet their neighbours from one street to another , a gentleman called Graham came out from England, “rolling in money.” He vowed he was going to build a castle. He had for companions a gentleman and his wife. The lady was to stay in Adelaide, while the husband went to Victoria to find a home. Then one day the lady disappeared, and no trace of her was ever found. People began to say the “castle” was haunted, “and that a ghost had been seen at different times. The legend was that while people were sitting at night playing cards in the dining-room, with the glass windows open, a carriage would be heard driving in at. the gate, but it would stop before it got to the hall door. A woman would get out dressed in white silk robes, walk up to the glass windows, and look in. She would then vanish. Mr. Graham did not relish these yarns, which had a wide circulation, and in the end he sold the place and returned to England. A man called Winham bought it, but the “ghost” appeared just the same, and no servant could be got to stay there. Then one day a servant committed suicide because her lover had jilted her. She poured kerosene over herself and -set herself on fire. This occurred upstairs in what they called the “Blue Room.” After that no one would sleep in the house, and there &#39;were two ghosts. Soon after this Mr. Win ham sold the house, which next passed into the hands of a land agent to be let. After the place had been empty for some time, some friends of ours lived there, and I went to stay with them. I never saw the “ghost”. Eventually our friends left because they heard the woman in white walking up the stairs. After this the place was offered for 6d. per week, but no one would live there, for all Adelaide by now knew of the “ghost.” The mansion was offered to the Government for a hospice, or to anyone who would like to buy it, and finally it was sold, and demolished. The land was re-surveyed, and the north train stops there now. In 100 Weeks Ago, we dig into the vault to find a snippet of our interview with Andy Packer from Slingsby and Chris Drummond from Brink Productions. In this snippet, Steve asked them to explain what it is about being on stage that is so attractive. And he got an answer he wasn’t expecting. Both agreed it was more about the camaraderie of planning a production that was the most important and satisfying part of the arts. And our song this week is Theydon Bois by Pollard Row, selected by our musical curator, Todd Fischer. This week I pushed myself out of my comfort zone and embraced the dark themes of the episode by exploring some heavier music than I usually would. I came across an instrumental post-metal band called Pollard Row and the song I’m going to play for you is called Theydon Bois. It starts with some moody atmospheric guitar that builds into an exhibition of dynamics, rhythm and musical precision. Their relatively easy-listening sound serves as a great introduction to the heavier genres and should set a fitting scene for Steve, Nigel and Alison in Z-Ward. Theydon Bois is the first song off Pollard Row’s self-titled EP which was released earlier this year and you can check that out on all the usual platforms. SFX: Throughout the podcast we use free sfx from freesfx.co.uk for the harp, the visa stamp, the silent movie music, the stylus, the radio signal sfx, the wine pouring and cork pulling sfx, and the swooshes around Siri.